Earn up to 379 Firehand Points. – The 300-card base features three different subsets: Concourse, Premier and Field Level! – Filled with jumbo rookie content! Find NFL Shields, Nike Logos, Laundry Tags and multi-colored patches! – Chase autographed memorabilia cards of the top 2016 Rookies in Rookie Autographed Materials and Jumbo Rookie Signature Swatches, #’d/99 or less! – Autographed memorabilia cards feature more than 50 veteran and retired NFL Stars! 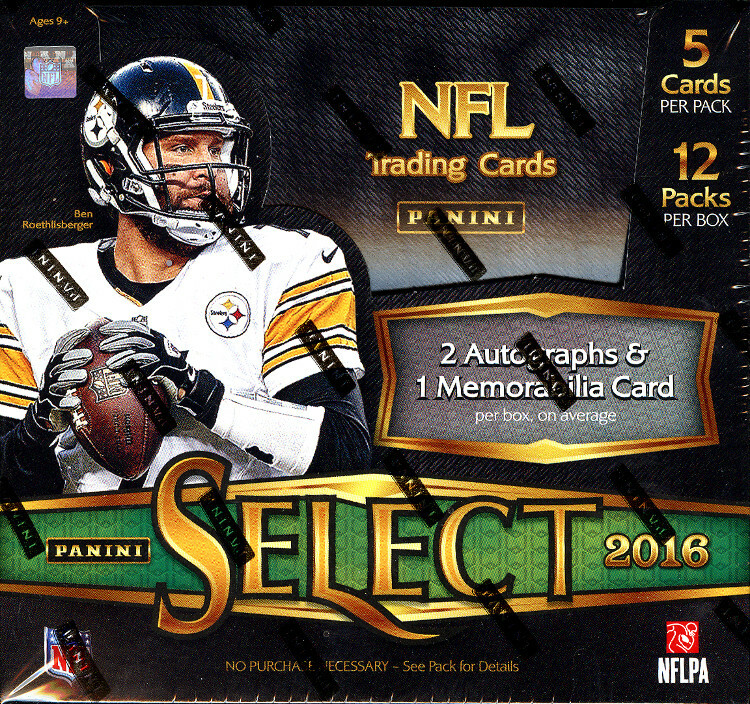 – Find XRC’s for the 2017 NFL Rookie Class, one per box! All-New, three-tier base set! Find a unique set of colors to collect for each respective subset! Chase autographed memorabilia cards of the 2016 Rookie Class, #’d/99 or less! Find multiple color variations: Copper, Purple, Orange, Tie-Dye, Gold and Black!